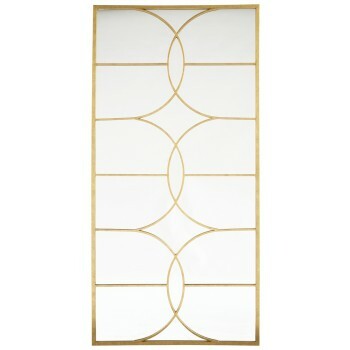 Beauty reflects in contemporary design with this floor mirror. Antiqued goldtone finished metal creates a lovely geometric frame. Standing over six feet high, it makes a case for statement style.